You may receive updates from Ryan Grim's Bad News, the sponsor of this petition. CNN has fired commentator Marc Lamont Hill for advocating for a one-state solution to the Israel-Palestine crisis in a speech at the United Nations. Hill believes that given the extent of settlement activity in Palestinian territory occupied by Israel, a two-state solution is no longer viable. That leaves two paths forward: A single state in which all citizens within the borders have equal rights, or a single state that operates on an apartheid model where some citizens have basic rights, while others are left in a second-class legal status. 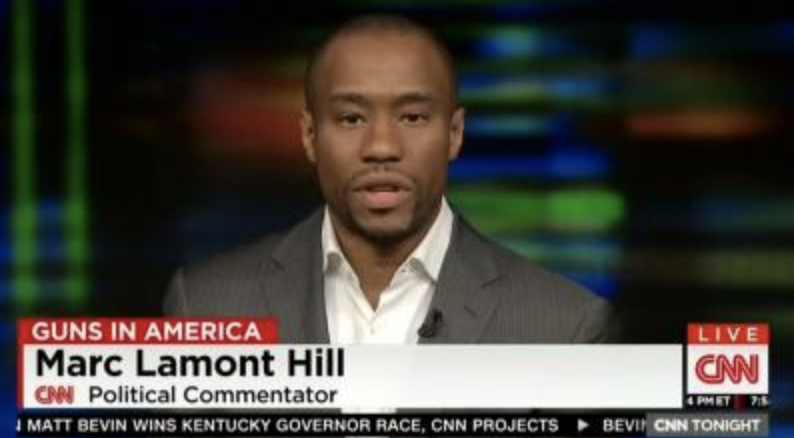 CNN caved to pressure, wrongly saying Lamont Hill’s views are anti-Semitic and firing him on that false premise. Outside of the United States, a one-state solution is becoming a non-controversial suggestion, while here in the U.S., it is cause for firing from a job doing political commentary. Agree or disagree with Lamont Hill's proposal, his right to hold it is a bedrock principle. CNN should immediately reverse course, apologize and re-hire Marc Lamont Hill. You fired Marc Lamont Hill for advocating for a one-state solution to the Israel-Palestine crisis in a speech at the United Nations. Hill believes that given the extent of settlement activity in Palestinian territory occupied by Israel, a two-state solution is no longer viable. That leaves two paths forward: A single state in which all citizens within the borders have equal rights, or a single state that operates on an apartheid model where some citizens have basic rights, while others are left in a second-class legal status. Some pro-Israel advocates argue that the former position -- one state with equal rights -- is anti-Semitic, because the Palestinian population within Israel will continue to grow and will ultimately amass a majority capable of taking democratic power and ending its status as a Jewish state. Outside of the United States, a one-state solution is becoming a non-controversial suggestion, while here in the U.S., it is cause for firing from a job doing political commentary. Agree or disagree with Lamont Hill's proposal, his right to hold it is a bedrock principle.